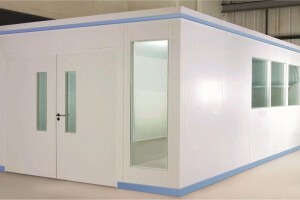 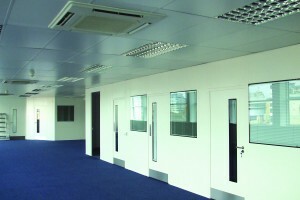 Double skin warehouse, office or factory partitioning offers a versatile, attractive and hardwearing appearance for the working environment with "two good faces". 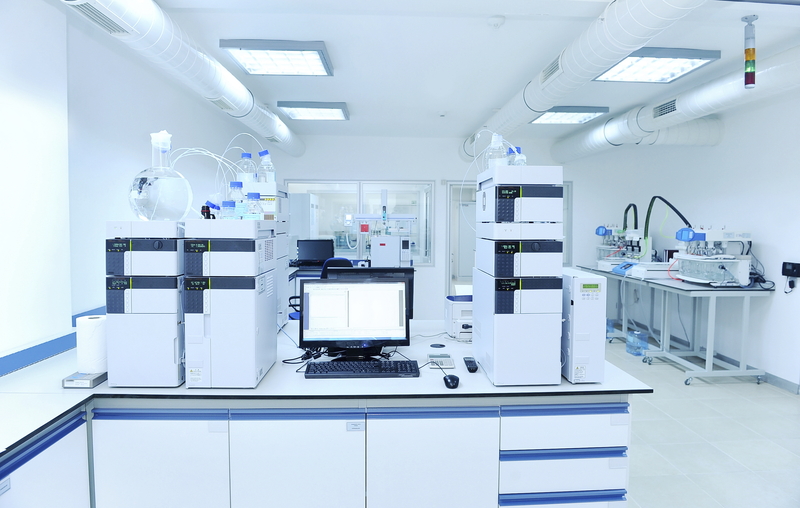 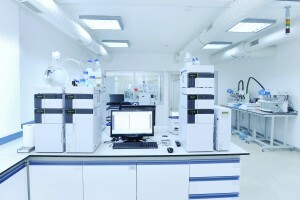 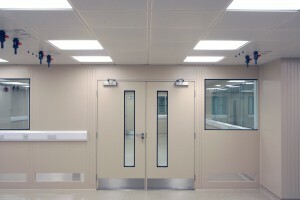 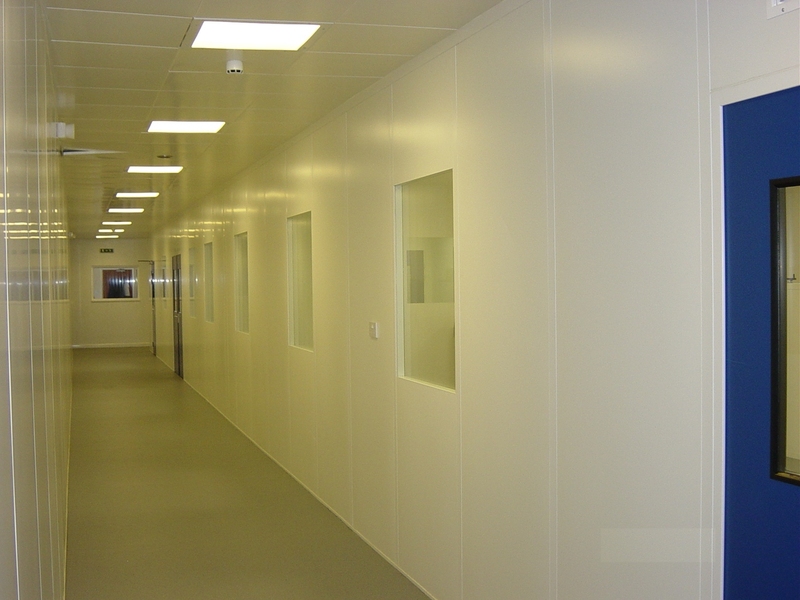 Metal Double Skin Partitioning provides reasonable sound reduction, can be fire rated and is more aesthetically pleasing than single skin panels. 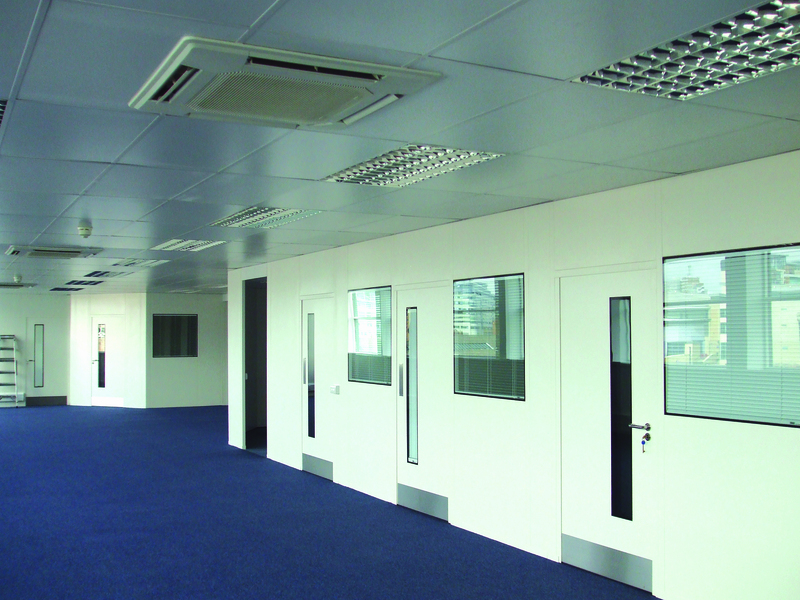 A number of elevations are available such as - all steel panel - part glazed panels - full height glazed panels and the glazed industrial partitions are available single glazed or double glazed (with integral blinds if required). 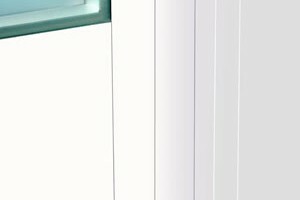 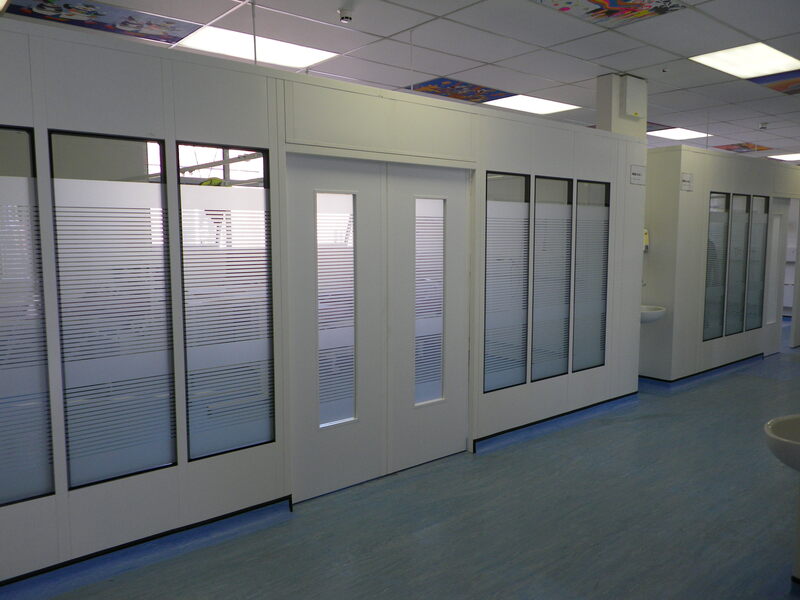 Doors are available as standard are the hinged single door or double width doors (with or without vision panels) and available in both steel finish or wood finish. 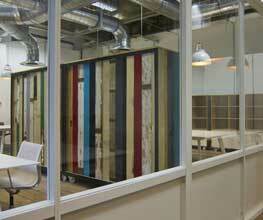 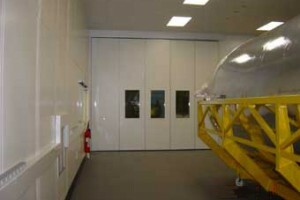 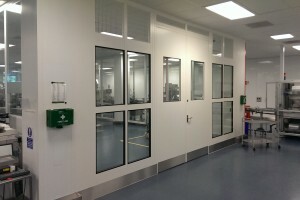 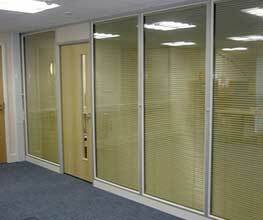 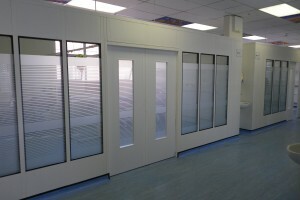 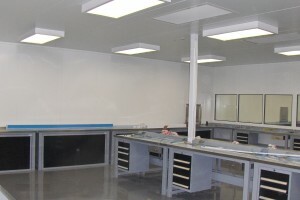 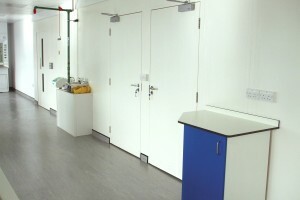 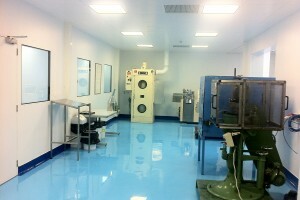 Single and double width sliding doors are also available to order. 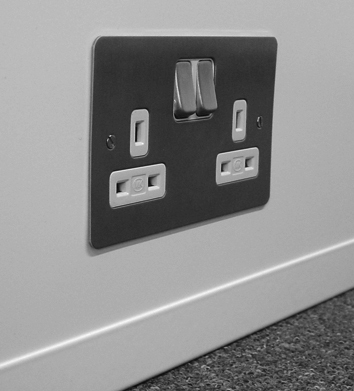 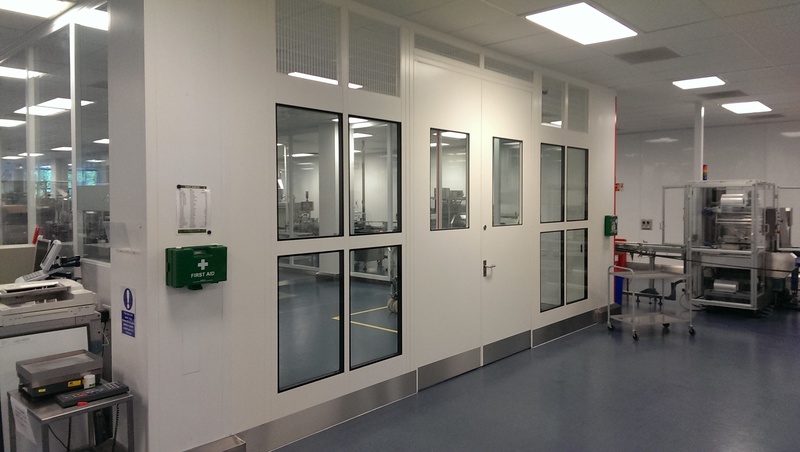 This Industrial partitioning system uses heavy duty H clips to hold the panels approximately 50mm apart with sprung mounted coverplates used to conceal the vertical wire ways formed between each panel and sprung metal skirting to conceal the horizontal wire way at floor level. 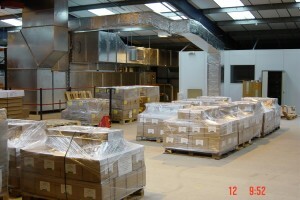 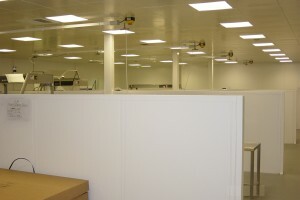 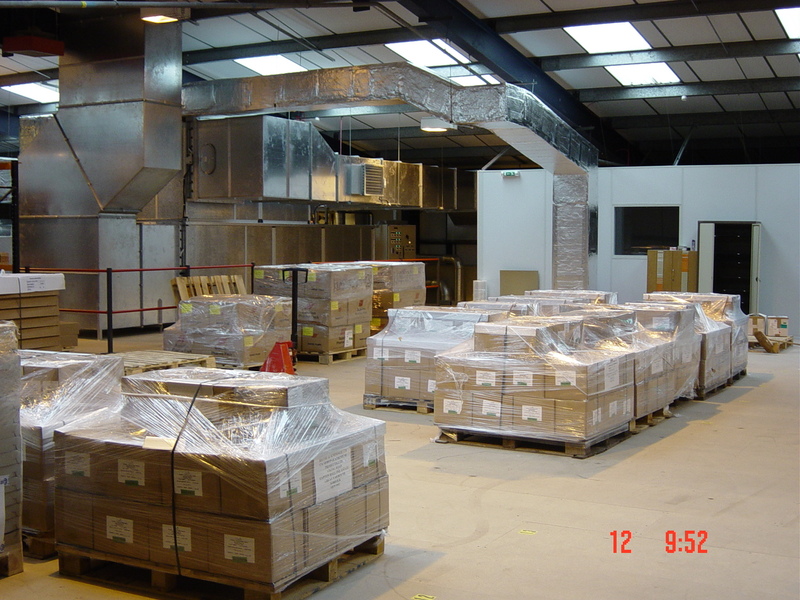 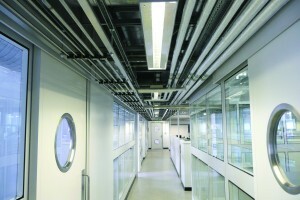 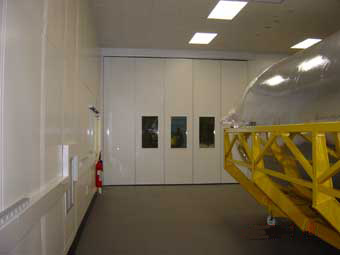 Fire rated versions of the double skin partitioning include rockwool insulation to the void between the two skins of the panels and also in the wire ways. 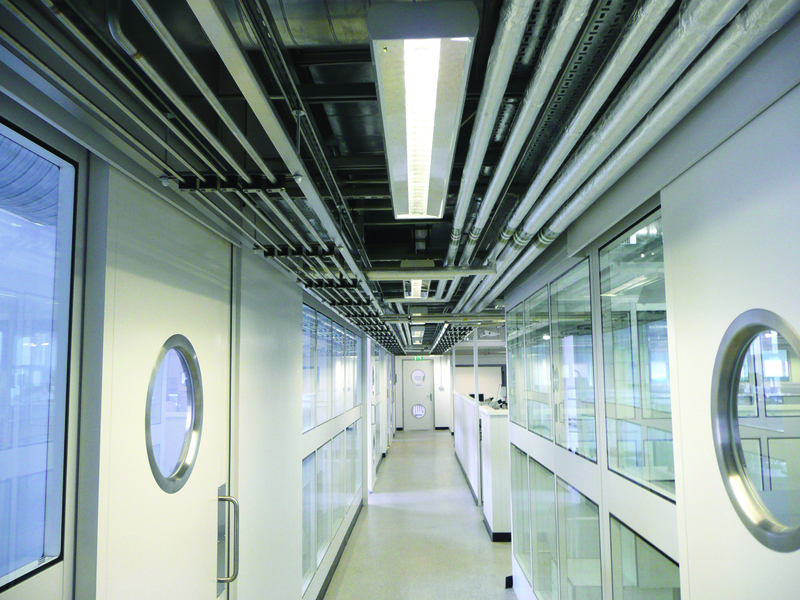 Additional linear stability is provided by a strong top cap channel and steel mullions and pre determined intervals in longer runs. 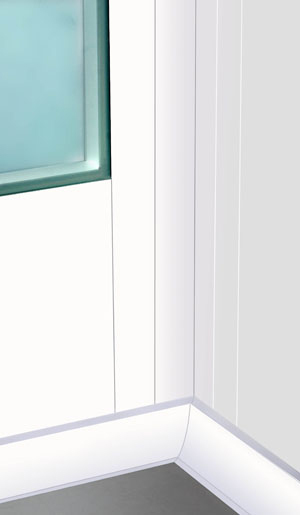 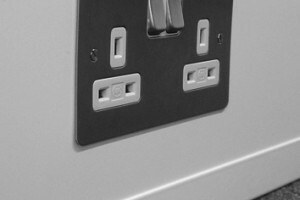 Standard panel widths are 300mm - 400mm - 500mm - 600mm - 700mm - 800mm - 900mm - 1m and heights 2.44m - 2.745m - 3.05m - 3.66m. 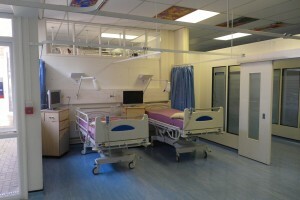 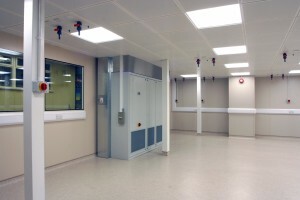 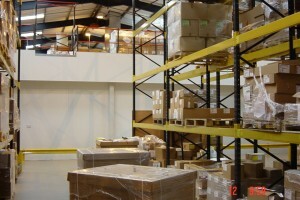 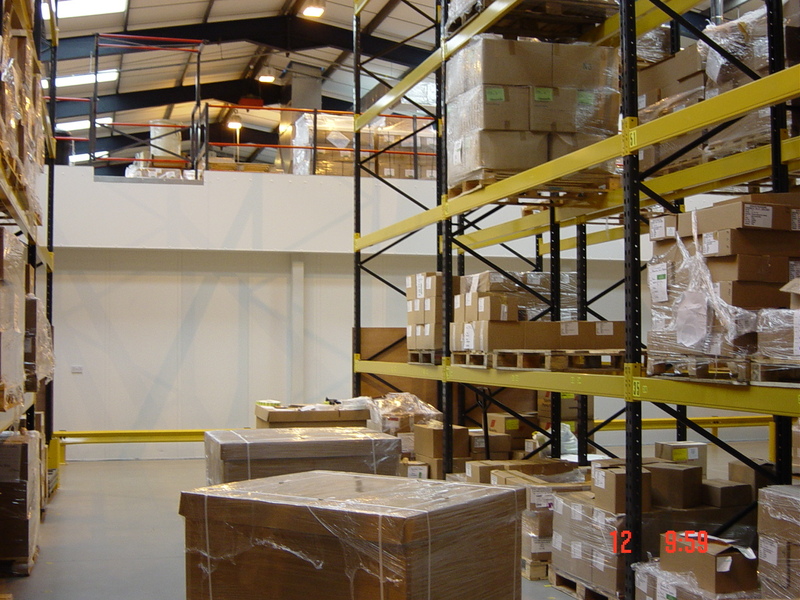 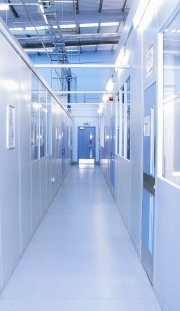 Industrial Partitions are supplied in a choice of Grey RAL7037 or BS00A05 - Sandstone BS08B17 - White RAL9010 powder coating, however other colours are available on request. 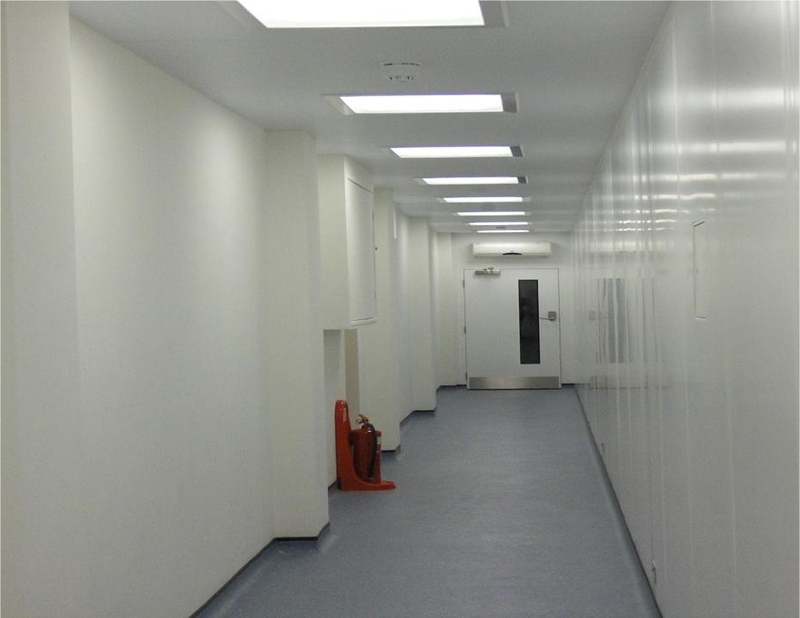 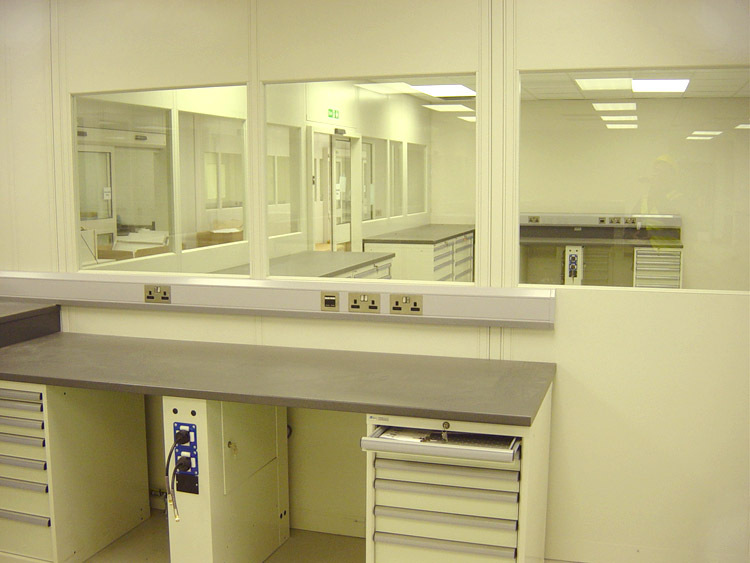 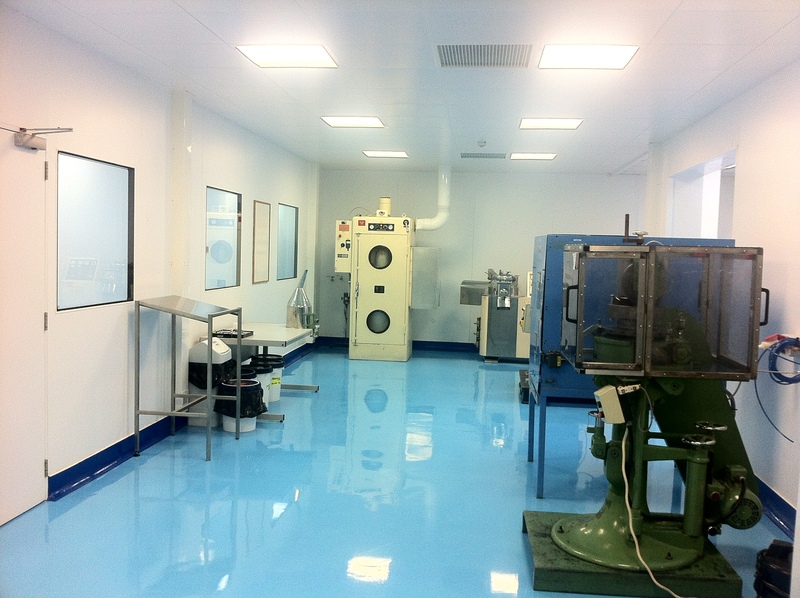 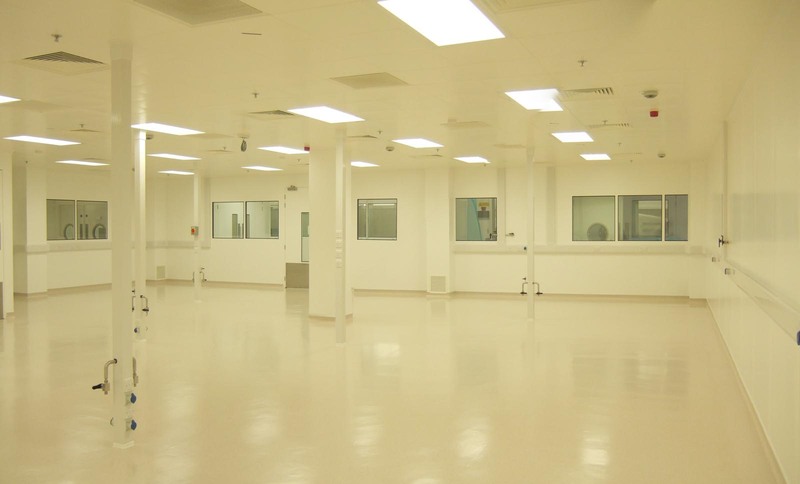 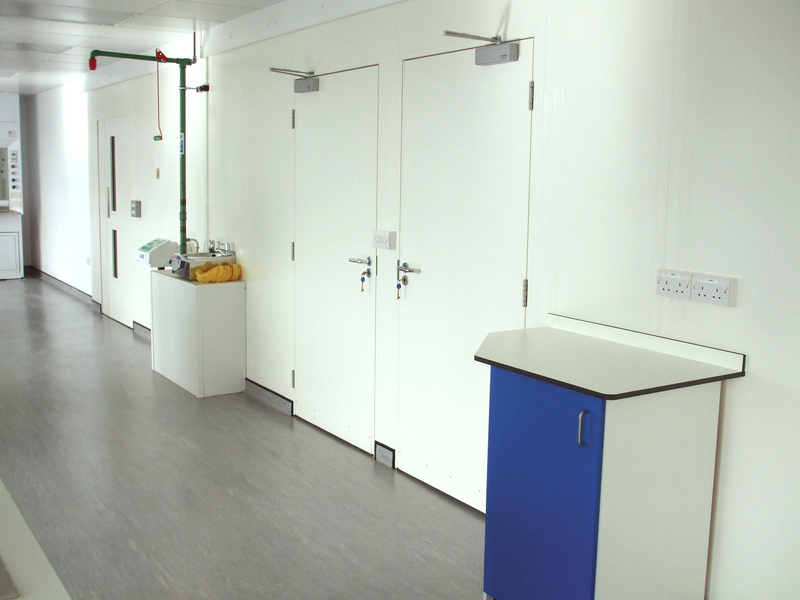 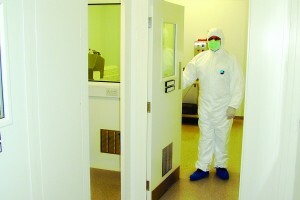 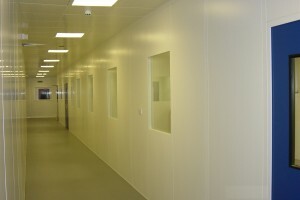 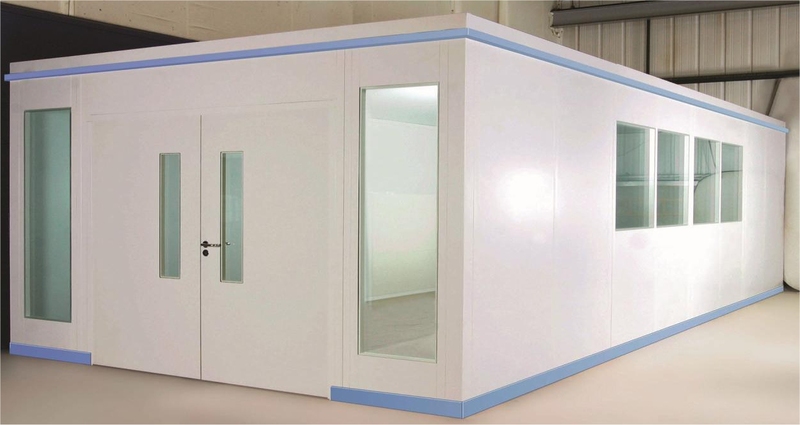 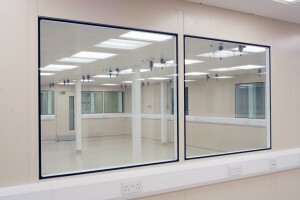 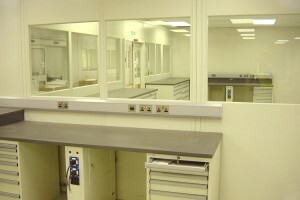 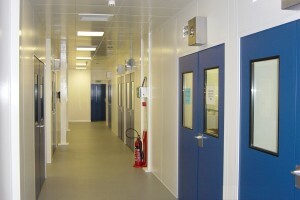 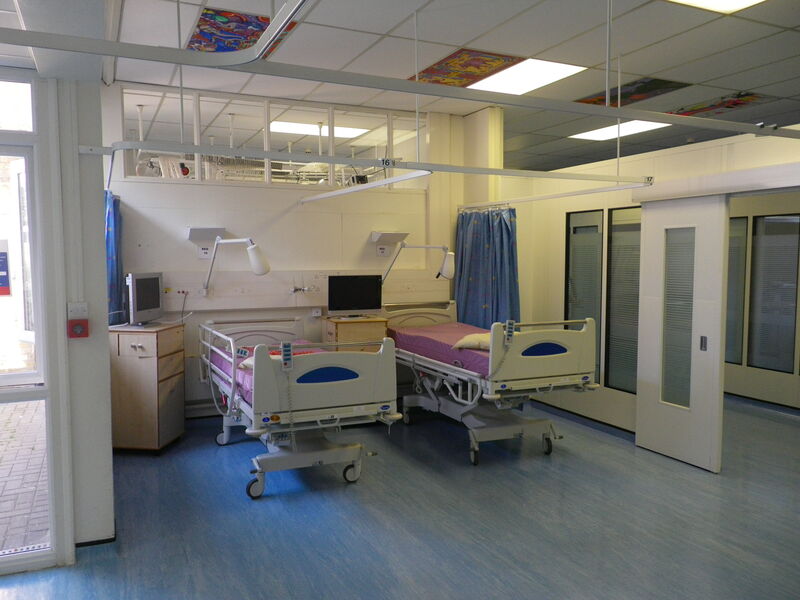 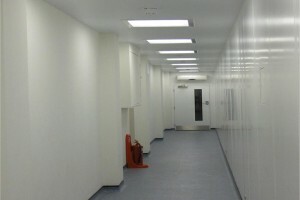 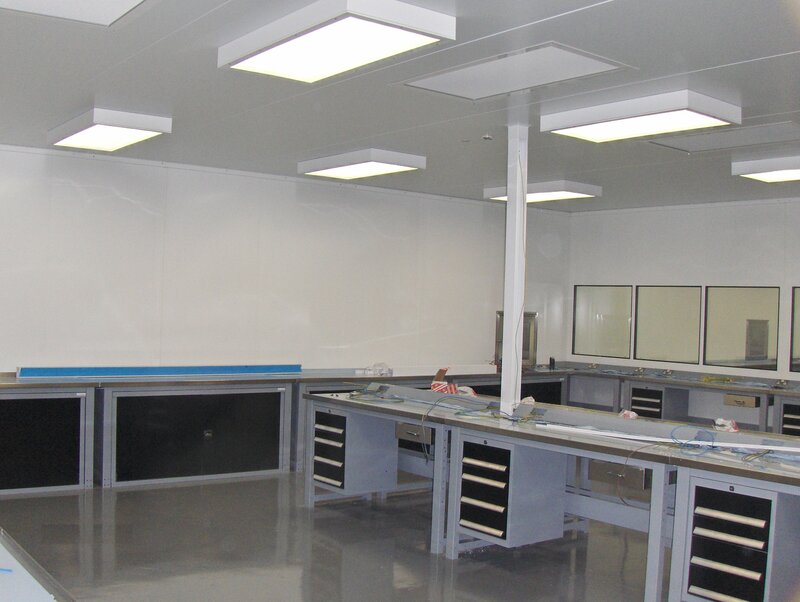 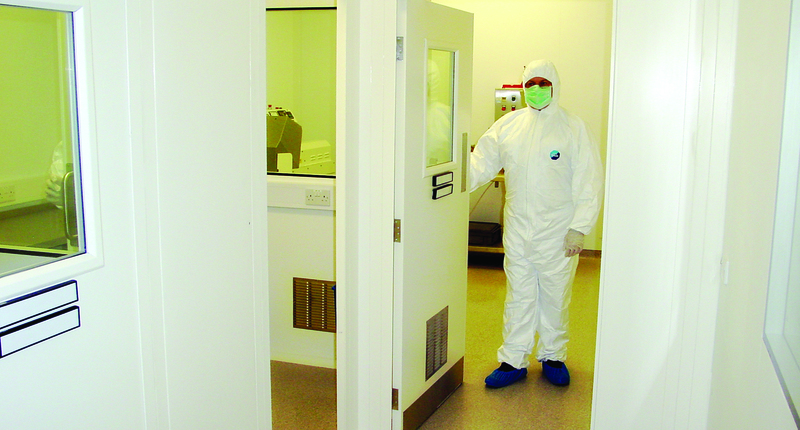 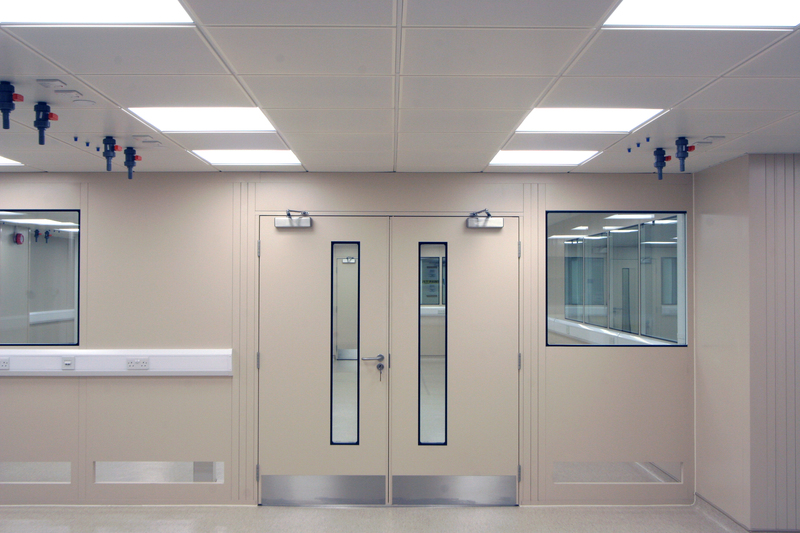 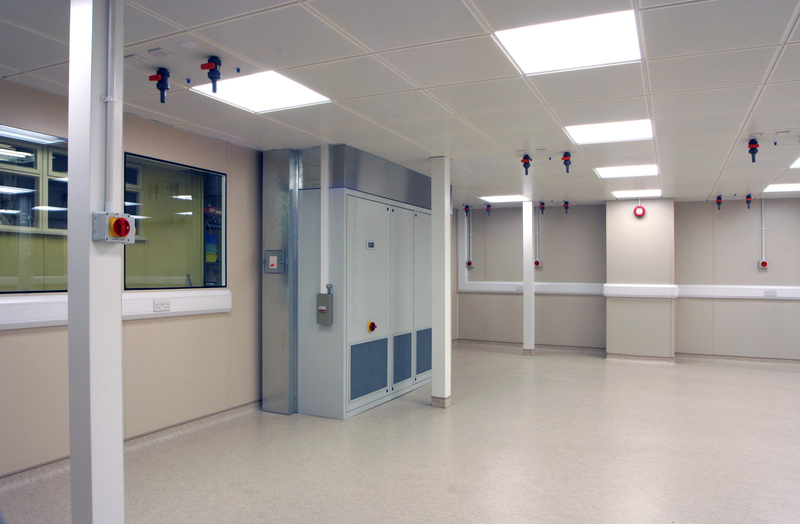 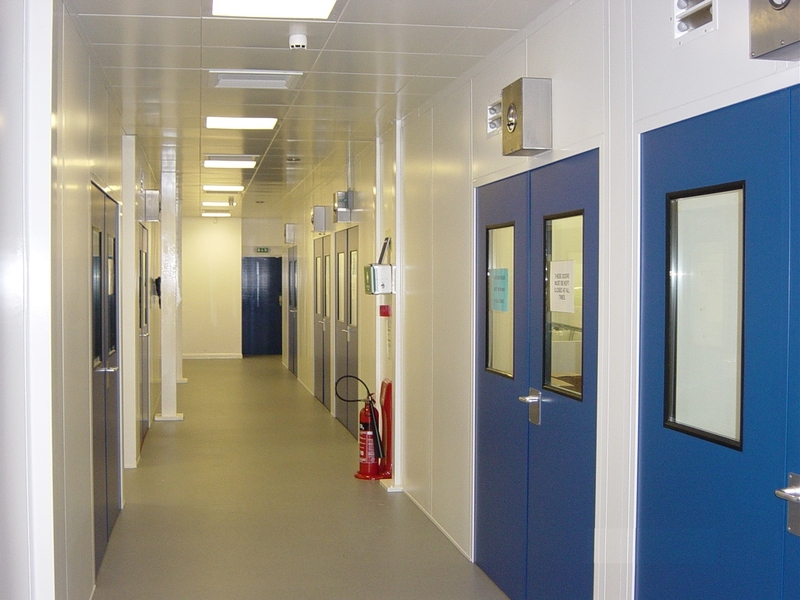 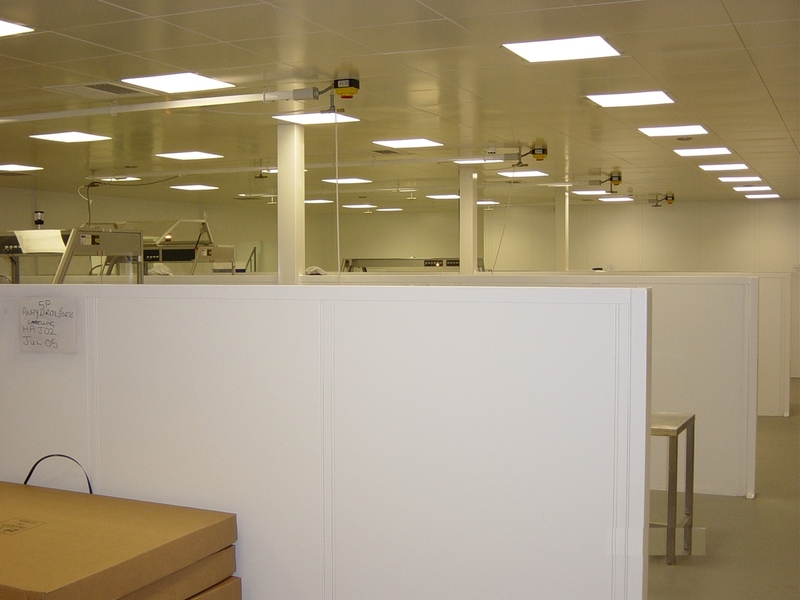 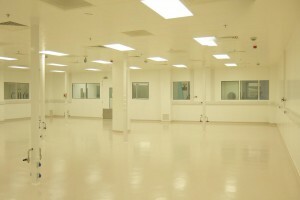 Double skin partitions are ideally suited to many industrial and commercial applications including: Office division, factory offices, laboratories, cleanrooms and test areas, as this is a fully demountable partitioning system with a well established range of features / accessories.